Conwy, enclosed within a ring of 13th-century walls and protected by a castle, is one of the worlds finest medieval towns. 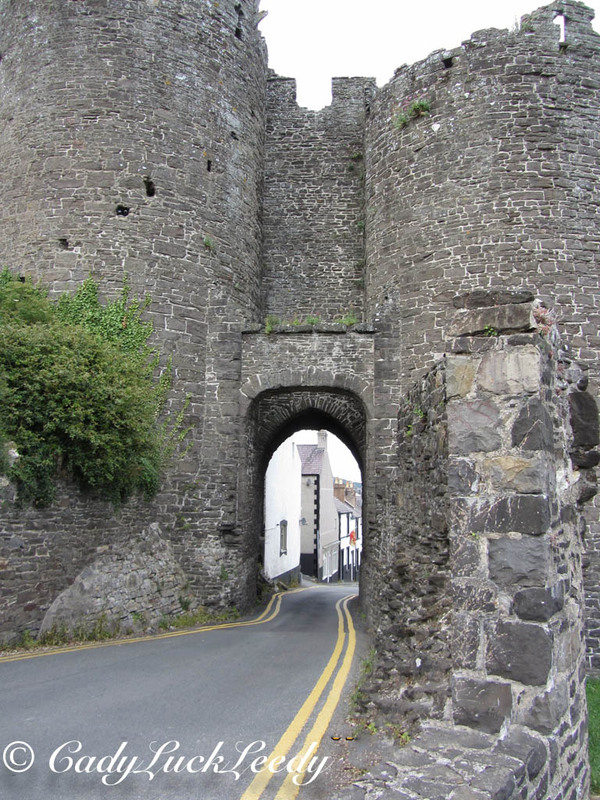 Exploring the streets, castle walls and the remains of the castle has taken us back in time. 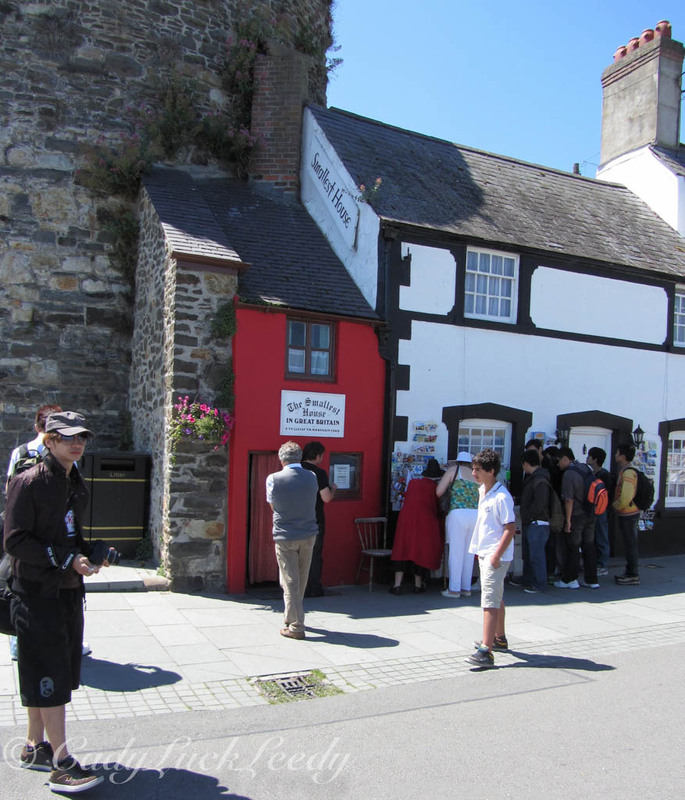 There are also three houses that we want to explore in Conwy. Plas Mawr, an Elizabethan house built in 1576 by the Wynn family, has been extensively refurbished to it’s original 16th-century appearance. 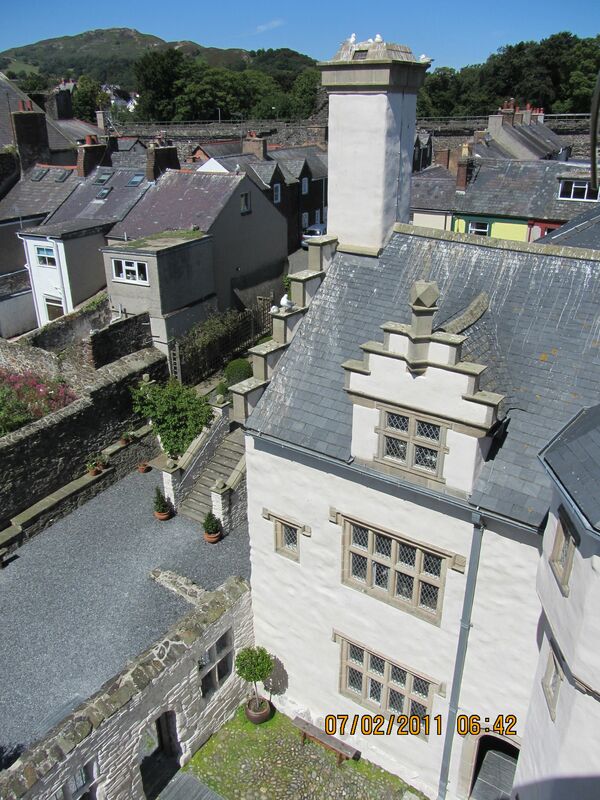 The tall lime walls reflect the status of the builder, Robert Wynn, a well traveled courtier and trader who rose to grandeur in the Welsh gentry. 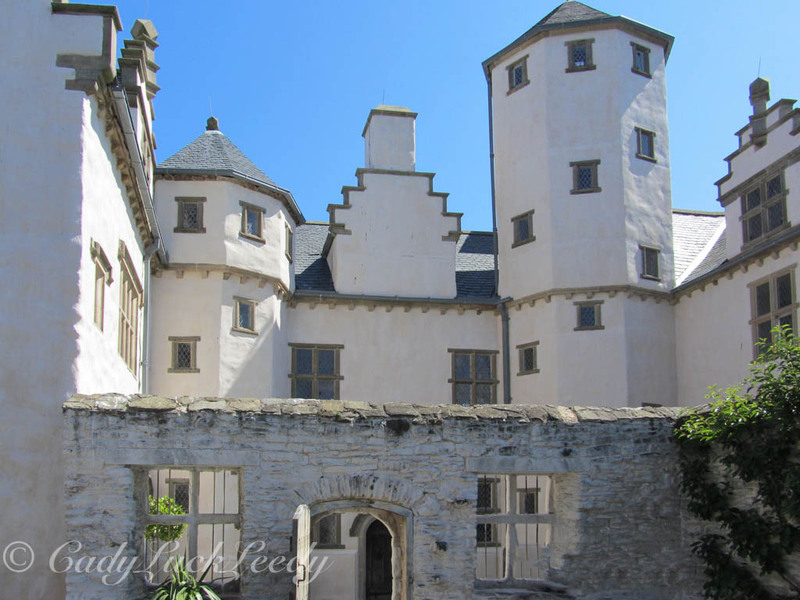 Plas Mawr stands as a symbol to a prosperous age and of a man of great style and taste. The house is noted for the quality and quantity of ornamental plasterwork, revealing the initial “R.W.” in the crests and coat of arms. The furnishings, many original to the house, are based on an inventory of contents in 1665. The tour describes the restoration and the life of Tutor gentry and the work of the servants who helped maintain such a lavish lifestyle. There is also a garden on the rooftops! Plas Mawr is also noted to be haunted. Robert Wynn was married twice. Both his wives were named Dorothy and both had pre-mature deaths. His first wife died from an illness at a very early age and his second wife died when she fell down a flight of stairs in the house while she was pregnant and carrying one of the other seven children. The doctor was summoned, but he failed to save her or the child. When Robert Wynn returned home he found both his wife and child dead in the bed and the doctor’s whereabouts unknown. The doctor is rumored to have suffocated in the chimney while trying to escape from Robert because he could not save Dorothy. Sometimes the ghosts of the two women are seen in the house and the house has been studied for supernatural activity. Spooky! The second house is named in the Guinness Book of Records as the Smallest House in Great Britain, with dimensions of approximately 9 feet 10 inches by 6 feet. 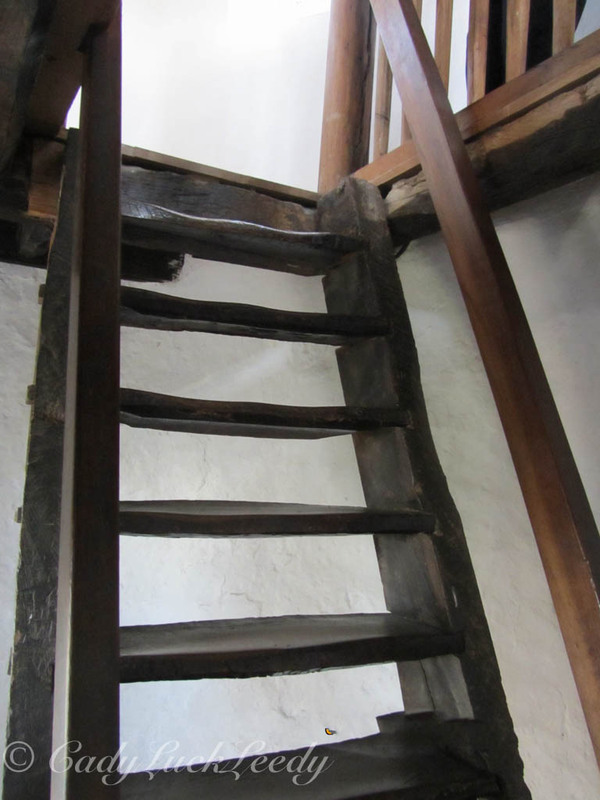 It was in continuous occupation from the 16th-century (even inhabited by a family at one point!) until 1900 when the owner, a 6 foot tall fisherman, Robert Jones, was forced to move out of the house on grounds of hygiene. The rooms were too small for him to stand up fully. 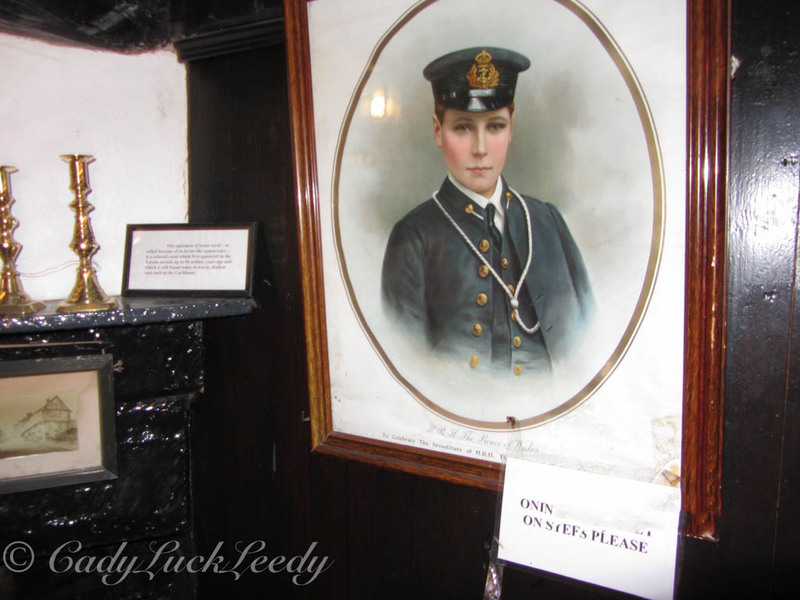 The house, located on the quay, is still owned by his descendants today and you can tour it for a small charge. Unbelievable! Lastly, St Mary’s Church and All Saints Church, were founded in the 12th-century as the abbey church of the Cistercian Abbey of Aberconwy. This was the burial place of many of the Princes of Gwynedd. In 1283 King Edward I, after his conquest of Wales, chose to build Conwy Castle and the fortified town on the abbey site, moving the abbey to Maenan. Today there remains many interesting slate gravestones in the churchyard and one particular containing seven brothers and sisters marked,”We are Seven.” It is said to have inspired the poet, William Wordsworth, to write his poem of the same name. The children were stricken, most likely, by an illness and died within days of each other. Conwy is such an interesting and beautiful town. 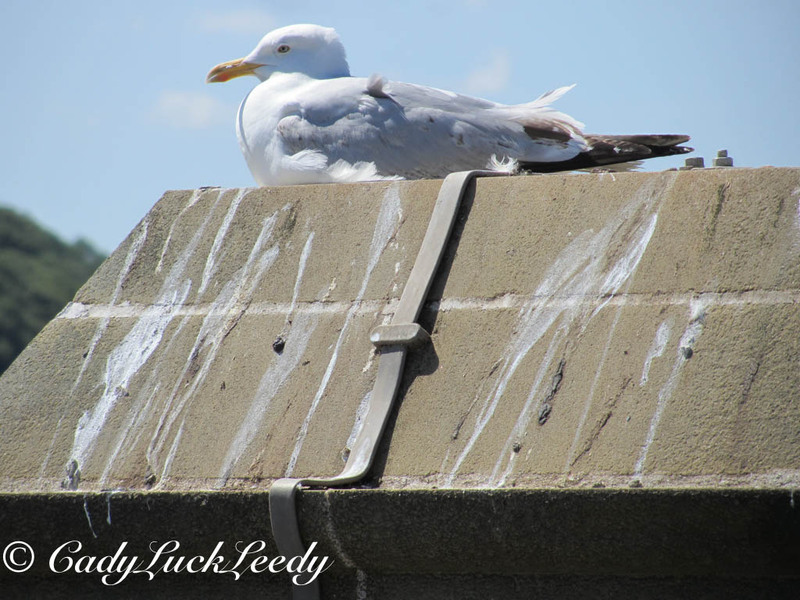 For more pictures and stories see my post on “Exposure.” Enjoy! 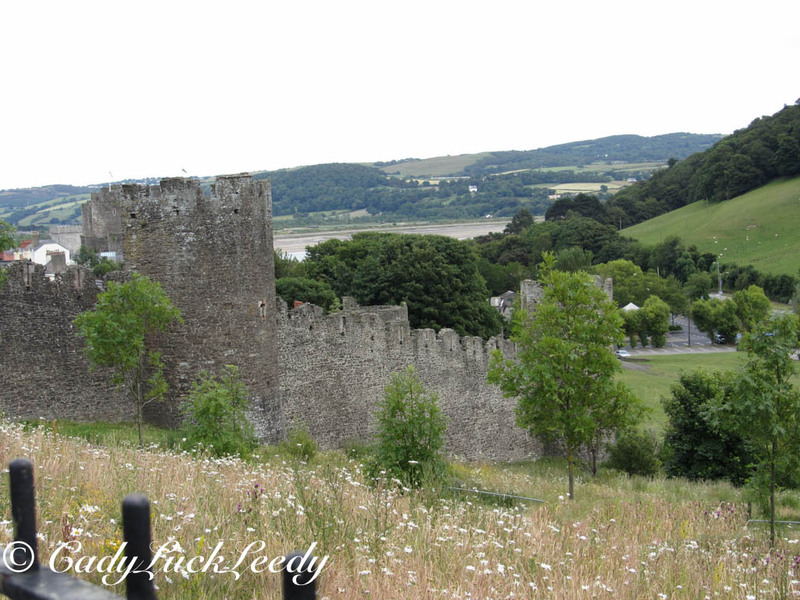 We’re still exploring Conwy, Wales! 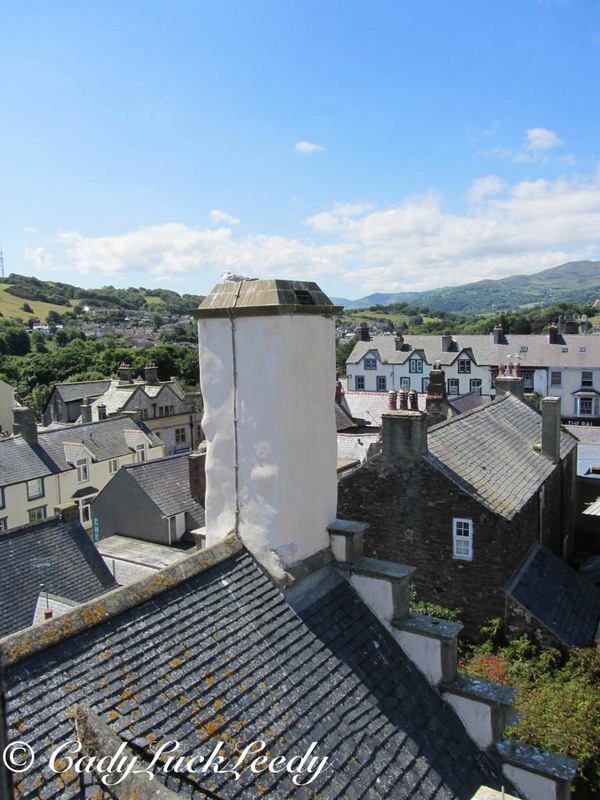 There are more pictures of Conwy to be found HERE ! Enjoy. Riding along the narrow , very narrow hedge rows / stone walls the main topic of conversation has been, “OHHHH! I think we’re going to hit it!” or “Move over, move over!” or “Can’t you see how close we are to the wall?” We are truly ready to arrive in Conwy! SB is ready to park the car! 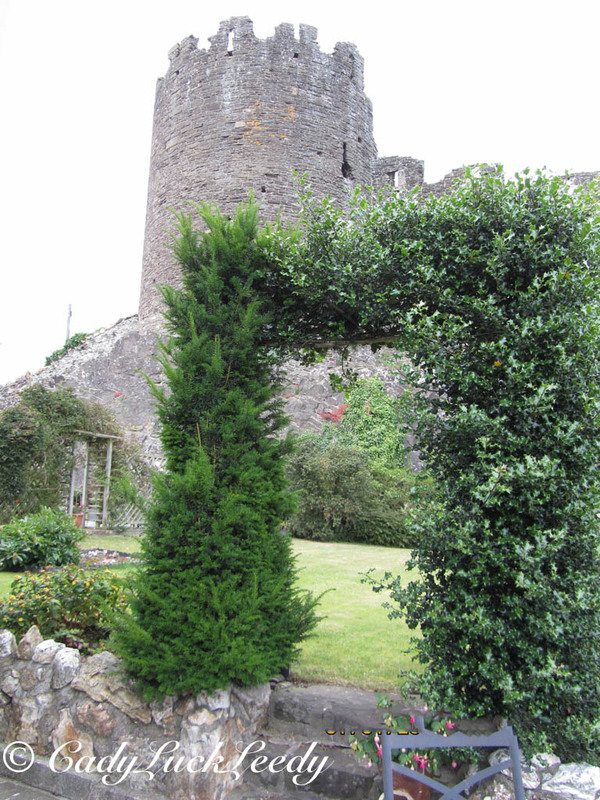 Bryn B&B, nestled in front of the castle and gates, is an oasis after the hedgerows! Everybody take a deep breath! We are HERE! 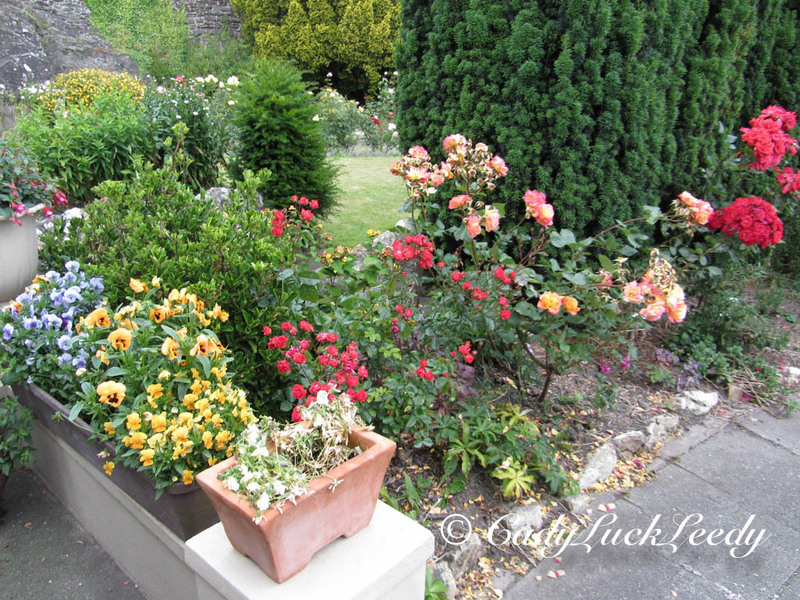 Bryn B&B, a Victorian home from 1860, is perched on a hill in an outstanding garden. This will be “home base” in Conwy, Wales. After a brief tour of the B&B and a spot of tea in the garden, we are off to explore! 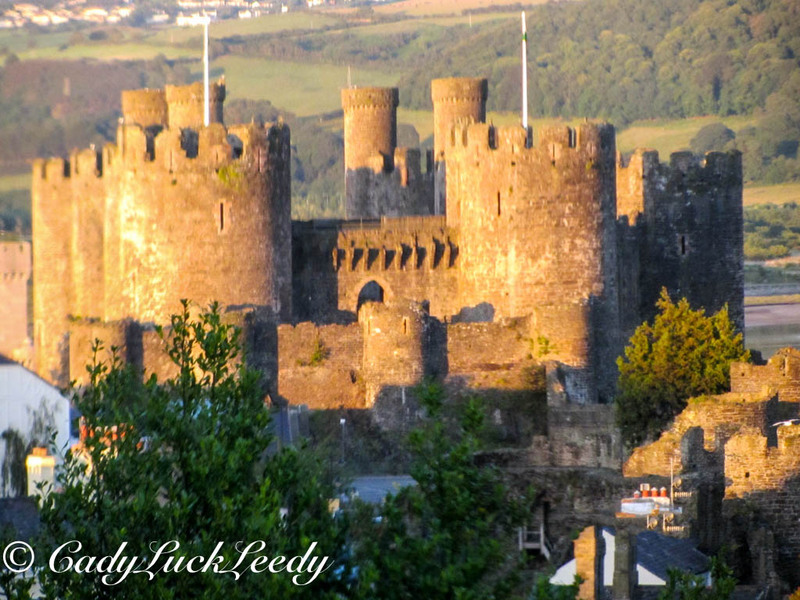 Conwy Castle and the town walls were built on the instruction of Edward I of England between 1283 and 1289 as part of his conquest of Wales. Conwy was the original site of Aberconwy Abbey, founded by Llywelyn the Great. 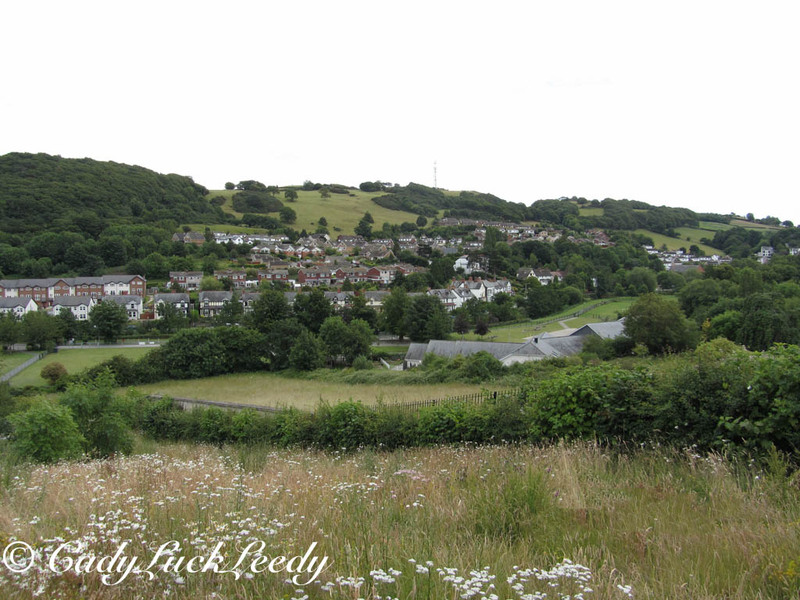 Edward I took over the abbey site and moved the monks further down the valley. 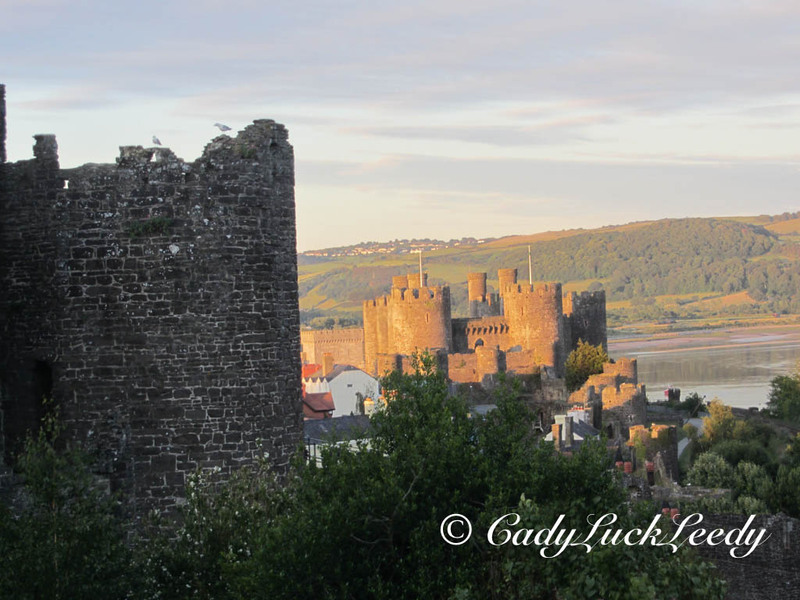 English settlers were given incentives to move to the walled garrison town and for decades the Welsh were forbidden from entering Conwy. We have just enough time to climb the rampart walls before night falls! More tomorrow! Enjoy! The Conwy, Wales Suspension Bridge, built by Thomas Telford in 1826, was one of the first road suspension bridges in the world. 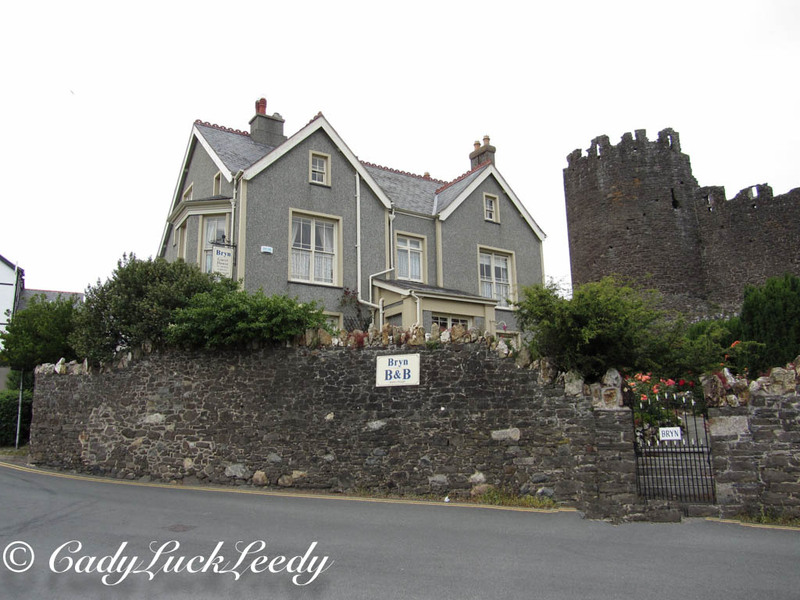 Built into the rock on which Conwy Castle stands, it is very close to the castle. Part of the castle had to be demolished during construction in order for the suspension cables to be anchored into the rock. Telford matched the bridge’s supporting towers with the castle’s turrets! To the right of the suspension bridge runs the wrought iron tubular railway bridge built by Robert Stephenson. Today the Suspension Bridge is only passable on foot and is in the care of the National Trust. 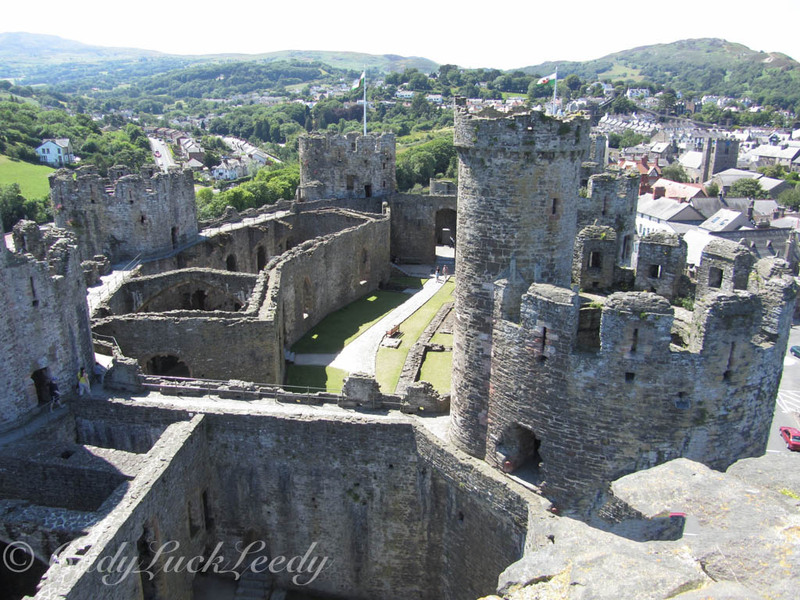 Won’t you join me on our visit to Conwy, Wales? 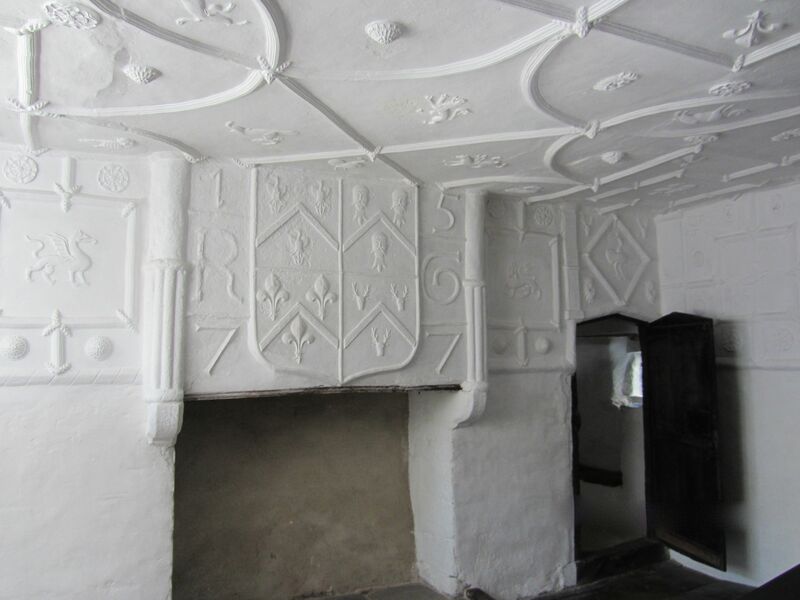 This is one of several restored rooms in Plas Mawr, Conwy, Wales. It reveals the intricate detail in the low ceiling and walls. Won’t you join me on the journey through England and Wales starting with “A Cottage in the Cotswolds” Series? Enjoy! 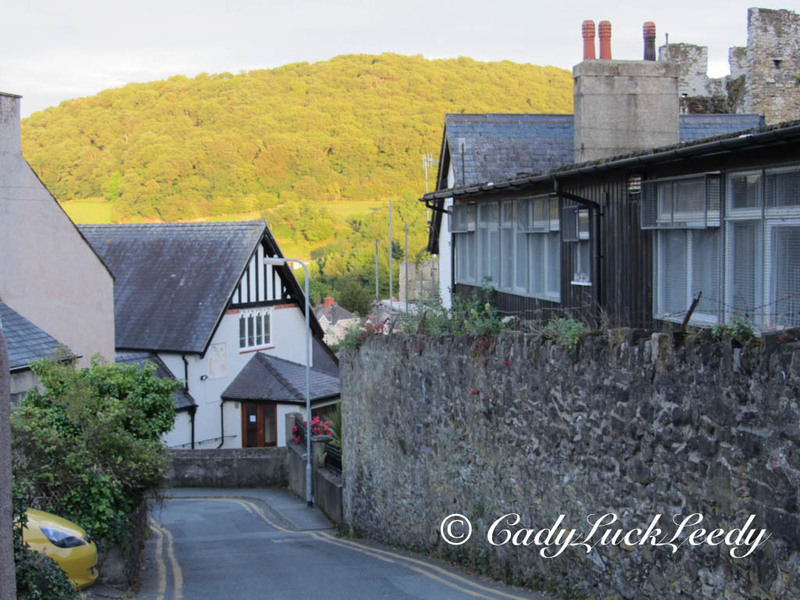 Another view of beautiful Conwy, Wales! 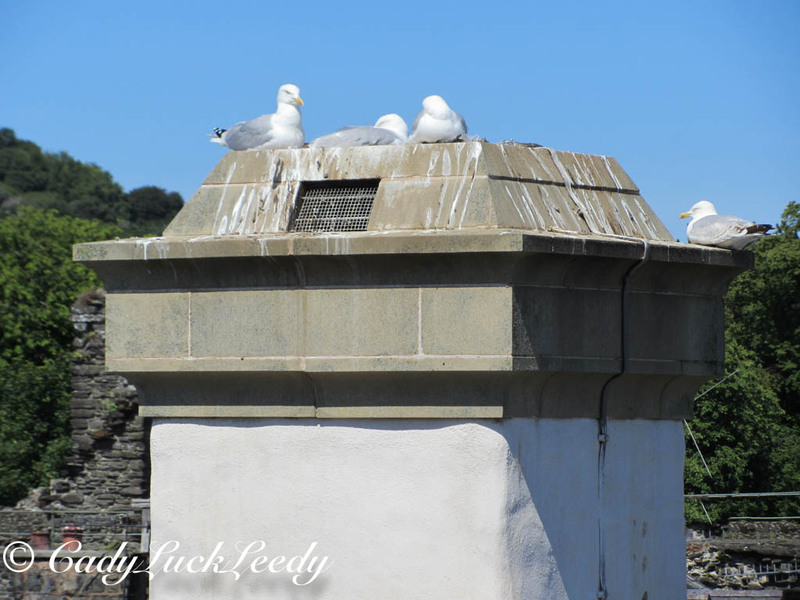 Notice the pigeons on the chimney stack! We’re making our way to Wales, starting with the series, “A Cottage in the Cotswolds.” Enjoy!